TAIPEI (Taiwan News) -- A team of Taiwanese scientists played an important role in capturing the first ever real image of black hole, which was revealed on Wednesday (April 10). Wednesday evening at 9 p.m. local time, scientists from the Event Horizon Telescope (EHT) observing campaign released the first-ever image of a black hole at six locations around the world, including Taiwan's Academia Sinica. 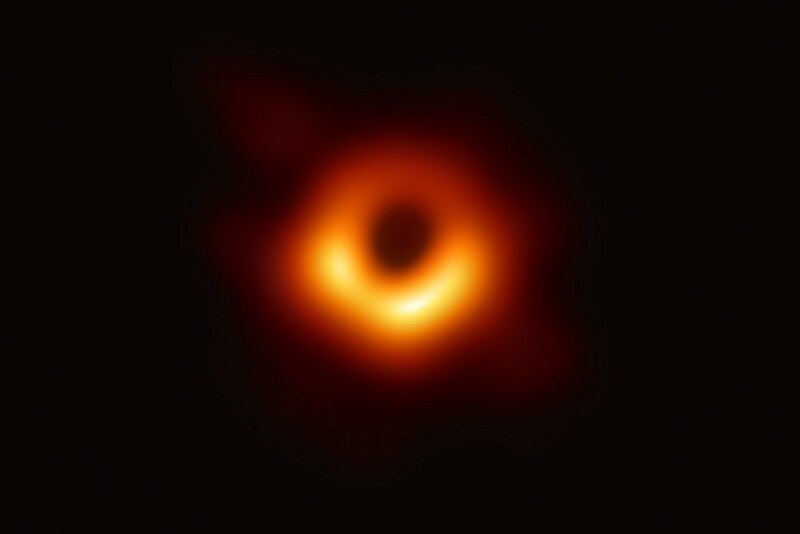 The project consisted of eight radio observatories and 13 research teams working in unison to generate a photo of a supermassive black hole in the heart of the Messier 87 galaxy (M87), 55 million light years from Earth. Academia Sinica was one of six scientific institutions that presented the results of the project. Academia Sinica President James Liao (廖俊智) hosted the presentation in Taipei, while other teams made simultaneous announcements in Washington D.C., San Diego, Brussels, Tokyo, and Shanghai. Despite the fact that the supermassive black hole has a mass 6.5-billion times that of the Sun, its vast distance from the Earth meant that an optical telescope the size of the planet would have been needed to see it. Scientists behind the EHT project overcame this challenge by combining a global network of radio telescopes to create a massive telescope array, synchronized with radio waves. This combined array of radio telescopes can achieve a resolution 1,000 times finer than the most powerful optical telescopes on Earth. Taiwan's contribution to the project was made possible through its 12-meter radio antenna in Greenland, the only one of its kind located within the Arctic Circle, which went online in late 2017. In 2018, the Greenland antenna was linked with the Submillimeter Array (SMA) and the James Clerk Maxwell Telescope (JCMT) in Hawaii and the Atacama Large Millimeter/Submillimeter Array (ALMA) in Chile, to serve as the northernmost radio dish and to enable triangulation. Keiichi Asada, an associate research fellow at Academia Sinica told CNA that Taiwan's radio antenna in Greenland has a larger reflector and ability to capture shorter wavelengths, enabling it to obtain better resolution. This increased the resolution capacity of the EHT project by 10 times, thus leading to a clearer image of the black hole, said Asada. Vice President of Academia Sinica, Chou Mei-yin (周美吟), told CNA that the research institute also helped analyze data from SMA, JCMT, and ALMA radio telescopes. "Taiwan has made a significant contribution to this massive project," said Chou.